The stall will never fail to catch the patrons’ attention with the numerous awards and accolades prominently added and displayed on the signboard. 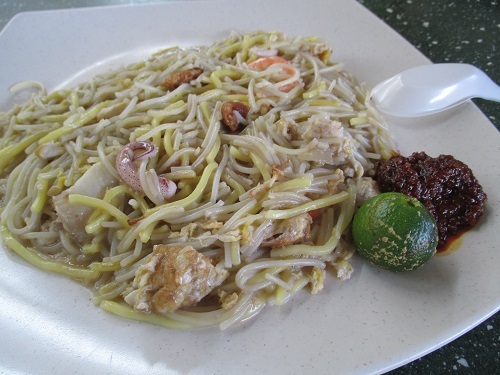 Yong Heng Hokkien mee has established their presence in Bedok Centre food centre recently and that gives the popular dining spot another boost. Of course, how can the glutton family to miss it? Sometimes we are skeptical about those award winning stalls, as we had tried some of the so called “famous” stalls with all the best awards and wide media coverage, yet the standard of the food just do not live up to the name. We do agree taste could be very much dependant on the individual, but our concern is the ability of the stall to sustain the standard, and this is always one of the biggest challenges to those stalls when they start venturing out. Maintaining good quality food with so many branches could be a daunting task, unfortunately there is only the one or two master chefs that can attain the best standard, most of the branches simply can’t replicate the genius and original taste. Yong Heng has many branches all over the island, we knew the one at Bedok Central food centre would most likely not be managed by the original chef. Hence we definitely didn’t put too high the expectation on it, we just want to validate the claims and nothing exceptional. 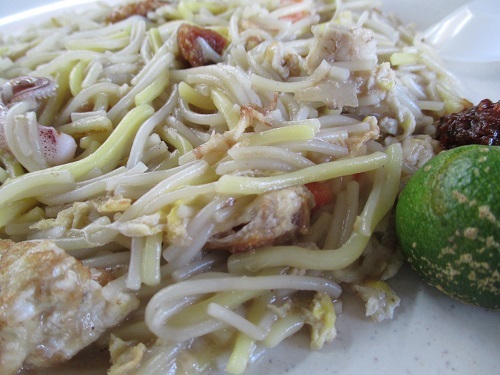 The plate of the Hokkien mee looked appealing, having the four of us tucked in immediately and waiting for the verdict, everything seem to come to a still, no one went for the second serving. When everyone’s silent, that is definitely not a good sign from the gluttons. Good food usually received positive feedback from us enthusiastically, silence from everyone was an indication of uninspiring food. True enough, we all dismissed it immediately, the broth was too sweet, noodles too wet and lack of the wok hei flavour. We agreed the seafood, e.g. the shrimp, pork belly slice, eggs and squids were fresh, however, the most importance of the gravy very much lacked of the right flavour, the sugary sweetness of the gravy was too overwhelming and it masked the real seafood essence in the gravy. 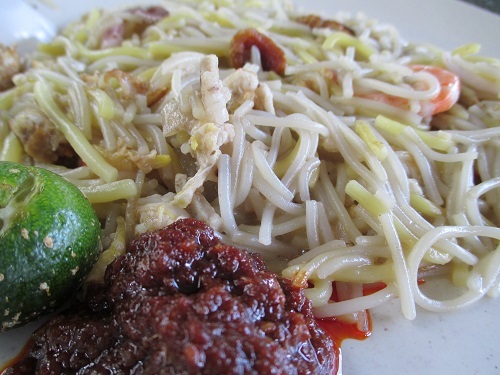 Naturally, the noodles would just taste sweet and lacked of the character of the good Hokkien mee, the last hope with the chili was completely diminished with it ordinary taste. 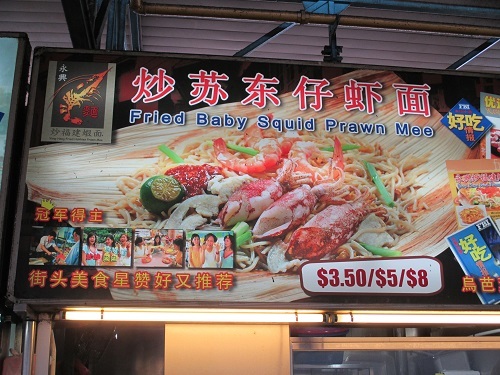 Overall, we were quite disappointed with the standard and hesitate to bestow the accolades that Yong Heng is one the best Hokkien mee stalls in Singapore as what some of the reviews commented. May be it is the price to pay for the branching out of the stalls, but the price could be too high if quality of the food is compromised.